On 2-03-04 the Ananda Church's headquarters in Italy, also home to the church's founder, J. Donald Walters, aka Swami Kriyananda, was raided by 80 Italian police and special agents. See perugianews.it. 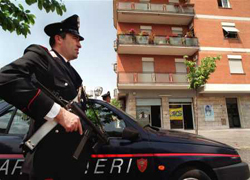 The police are the Carabinieri, a national force responsible for investigations into crimes, and the Italian equivalent of Treasury Agents, known as GICO, which investigates such things as fraud, usury, and tax evasion. 9 members of "Ananda Europa" as it is called, were arrested, and are still imprisoned. These included 4 Americans, three Germans and two Italians. J. Donald Walters, the church's founder and spiritual leader, is still being sought by the police for arrest, as he had left the area shortly before and is believed to be at Ananda's center in India. According to Ananda's website, Mr. Walters was due to preside over a major religious cermony in Italy on March 5, with many people due to fly to Assisi from "around the world" for the occasion. Another website states Mr. Walters has now had to cancel that appearance due to health concerns. It is possible he may be sought for extradition from India or even the United States, if he can be found. Ananda's church and and associated office buildings in Assisi have been closed down by the Carabinieri, and church documents, records and computers siezed for investigation and evidence. The police raid was initiated and coordinated by Antonella Duchini. Ms. Duchini has a record as a tough prosecutor and has participated in investigations of the Mafia. The 9 imprisoned church leaders, and J. Donald Walters, were charged with 5 crimes: Criminal Association, Fraud, Usury, Reduction to slavery, and Uncapable Circumvention. Though difficult to translate to their American counterparts, the charges are involved with conspiracy to violate tax and labor laws, fraud, as regarding donations and how they were solicited and spent, and deliberate violations of building codes. Reduction to slavery refers to violation of labor laws. Uncapable Circumvention refers to mentaly and emotionaly manipulating and defrauding vulnerable people. More details and explanations of these charges soon. The Ananda Church was founded in 1969 by J. Donald Walters, who calls himself "Swami Kriyananda". It has branches and centers around the United States and the world. Ananda and Walters have been embroiled in several lawsuits in the past, most notably a case which ended in 1998 with a 1.8 million dollar judgement against Walters and the church on charges of sexual abuse and fraudulant practices. Ananda has no mention of these events on their websites, but a letter sent to members several weeks ago asks for support, and claims the charges are fabrications of a disgruntled former member in Italy. Ananda also gave this reason for the sexual abuse and fraud trial, although later Walters admitted to a number of illicit encounters with women while presenting himself publicly as a celibate Hindu priest.